To help me in making my "flip" easier I came up with an acronym FIRE: Format, Interact, Reflect, and Extend. 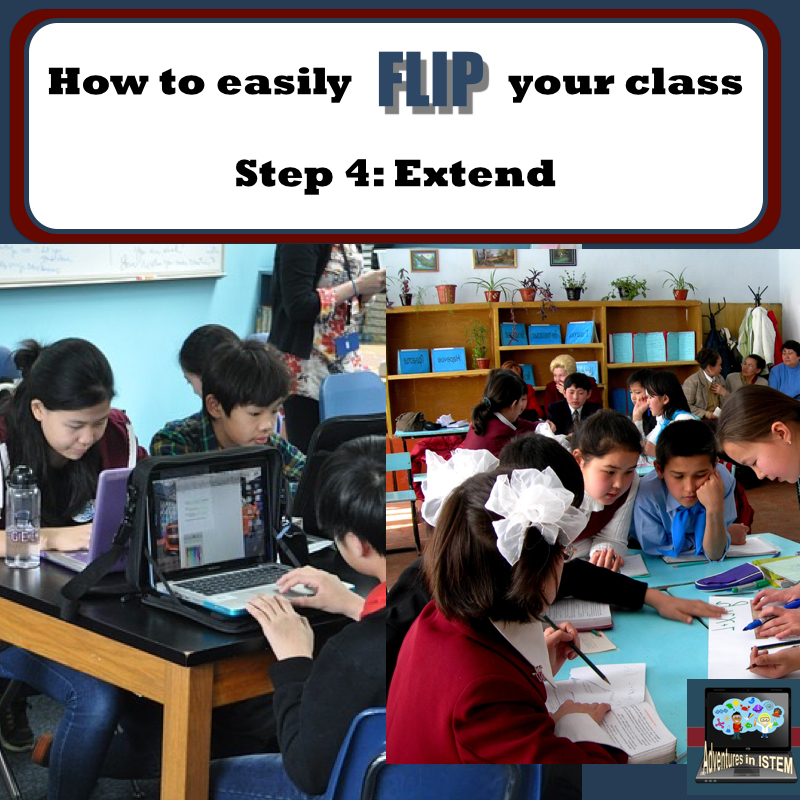 By following these four easy steps it made flipping my class a lot easier.In Step1: I discussed how to chose a format for your flip. Although the majority of flips are done using video they do not have to. In Step 2: I discussed the importance of having students interact and engage with the flipped lesson. In Step 3: I discussed different ways students can reflect on their learning so that you and and the student are aware of where they are at in their understanding of the topic. This information leads to Step 4: Extend. 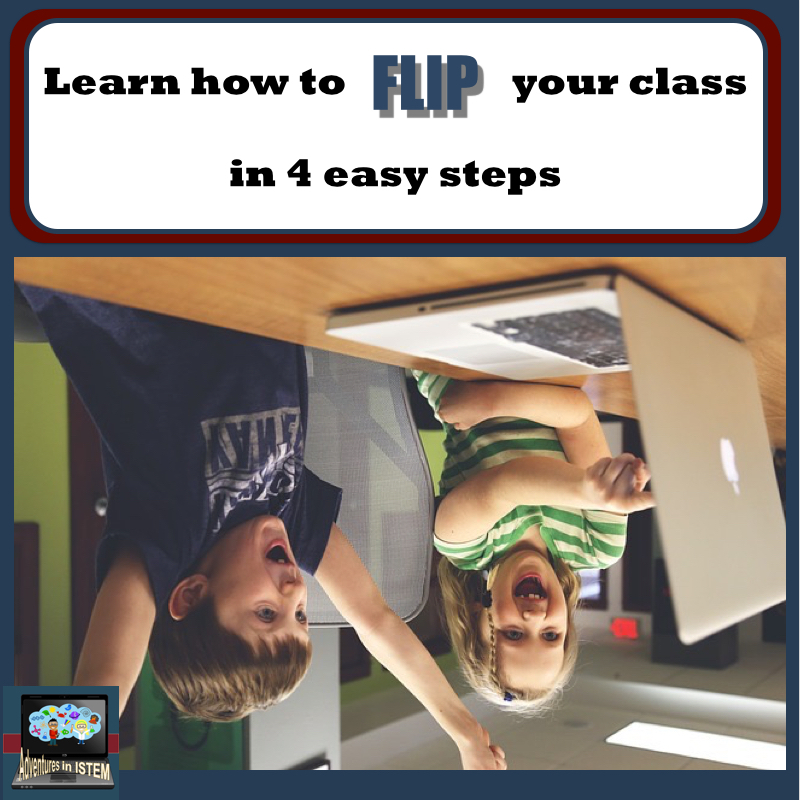 The whole reason for the flip is for students to learn the basics at home so they can apply and practice in the content in the classroom with the support and help of you and their peers. The possibilities of what you can do on the day after a flip are endless. I like to use this as a perfect opportunity to differentiate my teaching. I use the data from the quiz I do as a reflection to put my students into two groups. Group A is for students that demonstrate they have a basic understanding of the topic. Station B is for students that demonstrate they are still unclear of the basic information and need some more practice and clarification on the key parts. Here are some different ideas for what to do with each group. One thing to keep in mind is to never reteach the lesson to the class the next day. If you have students that did not do the assignment than the first thing they need to do when they enter your class is the flip assignment. If you reteach the lesson to the class because students didn't watch the video you are telling the students its okay to not watch the video since the information will be taught in class the next day. This rewards those for not watching the video and eventually no one will watch. The first time I did the flip for a homework assignment I only had 25% of the students do the assignment. Instead of getting upset I had to do some reflection on myself to see what did I do that resulted in this low percent. When the students came in the next day I had them fill out a survey. I discovered that 30% of the them forgot, 30% of them discovered that their internet connection was not good, and 30% didn't want to do it. We talked about the importance again and the options for what to do if you can't watch the videos at home. I then had the 75% that didn't watch the video do the flip lesson in class and the 25% that did watch went on to the activity I already prepared for that day. The next flip only 20% didn't watch. As the students got used to this new method of teaching and started to see the benefits I had less students not doing their assignment. What are your suggestions for making sure the students watch the videos and what do you do if they don't? Let me know in the comments below.